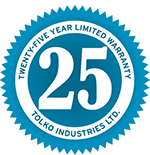 Engineered specifically for homebuilders in the entry-level, move-up, and custom markets, the Tolko T-PLY product lineup includes good, better, and best flooring panels, backed by industry-leading 25 and 50-year transferable warranties. Engineered to meet the exacting standards of the most particular customers, Tolko T-PLY™ Ultra T&G plywood subfloor is the best quality-certified plywood we have ever created. Bar none. Tolko T-PLY™ Pro T&G subfloor was engineered for builders who want a smoother structural-grade panel with a better grade face veneer appearance. Our most economical plywood subfloor panels also are among the industry’s top performing in standard flooring. 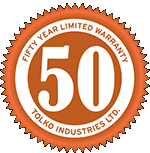 Engineered to meet the exacting standards of the most particular customers, Tolko T-PLY Ultra T&G plywood subfloor is the best quality-certified plywood we have ever created, bar none. Backed by a transferable, 50-year limited warranty against delamination and punctures, plus a 180-day no-sand guarantee. Tolko T-PLY Pro T&G subfloor was engineered for builders who want a smoother structural-grade panel with a better grade face veneer appearance. Tough, tested, and professional, Tolko T-PLY™ Pro T&G subfloor has all of the benefits of standard Tolko T-PLY™ subfloor in a smoother panel. 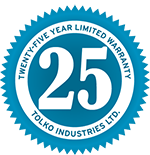 Backed by a transferable, 25-year limited warranty against delamination. Our most economical plywood subfloor panels also are among the industry’s top performing in standard flooring. Crafted from Canadian plywood, these tongue-and-groove panels are known for exceptional value. And they’re backed by the name builders have trusted for more than 50 years. Call our plywood sales team to ask about T&G subfloor.